This human tendency to shorten names can have a direct impact on your organization’s value. A recent story in The Harvard Business Review noted new research demonstrating that companies with short, easy-to-process names were more likely to attract investors, generate more stock trading and have higher valuations. According to the study “Company Name Fluency, Investor Recognition, and Firm Value,” corporate renaming generally increased a name’s “fluency” and as a result translated into more value. Shortening name length by one word could result in a $3.75 million increase in value for a mid-size company. If your organization doesn’t have a short, simple name, what can you do? We often see a long, cumbersome name as the result of a merger or acquisition. The investment bankers and lawyers who are involved aren’t thinking about corporate identity strategy. They’re thinking about closing the deal, and they don’t want the name to get in the way. Yet this creates problems down the road in ways that end up costing the organization. If a company name is long and difficult to shorten, often the only hope is to go to initials. For example, PricewaterhouseCoopers goes by PwC. But initials make weak names. They are difficult to remember, easily confused and hard to relate to—unless billions of dollars are spent over decades to make them familiar (e.g., IBM, NBC, GE). The better course? Even in the case of a merger or acquisition, it’s usually better to look forward to the opportunity of a shorter, more fluent name instead of backward. When in doubt, go short. 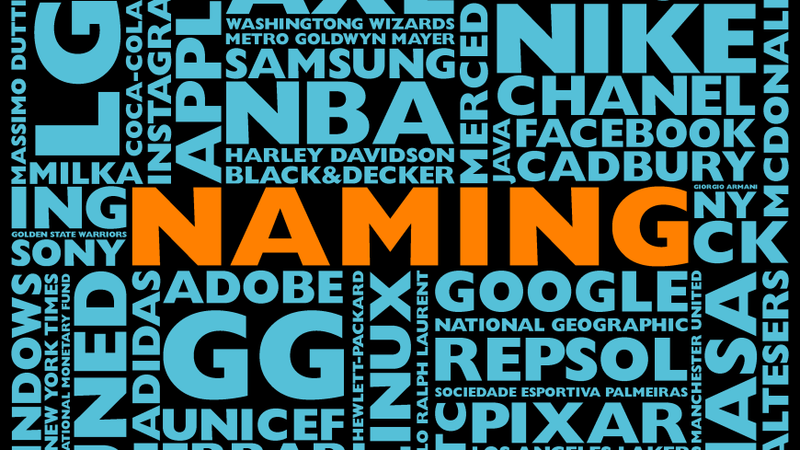 Learn about Marshall’s work in naming and naming systems.